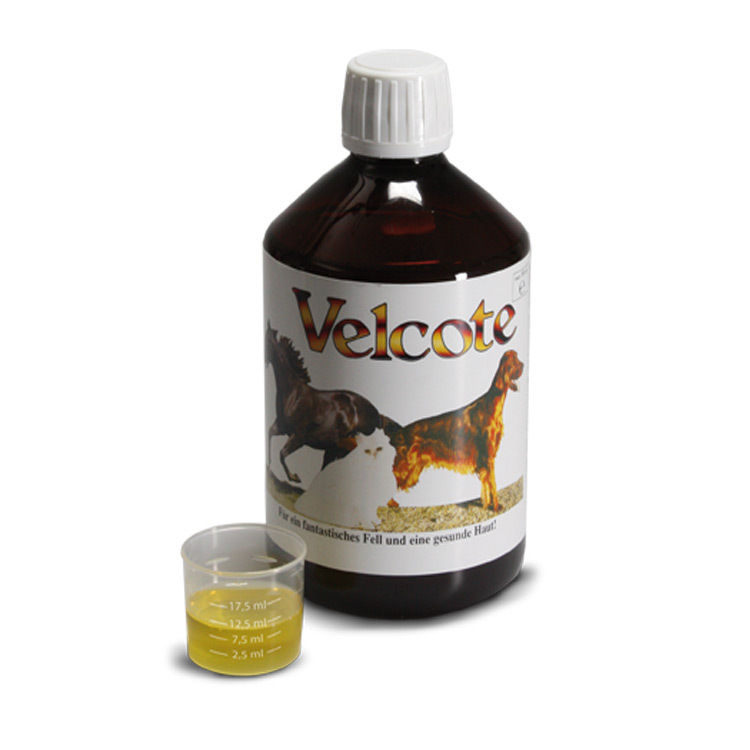 In the case of Velcote, the essential fatty acids, which are necessary for life, act directly on the cell walls and improve the quality of the skin and coat. 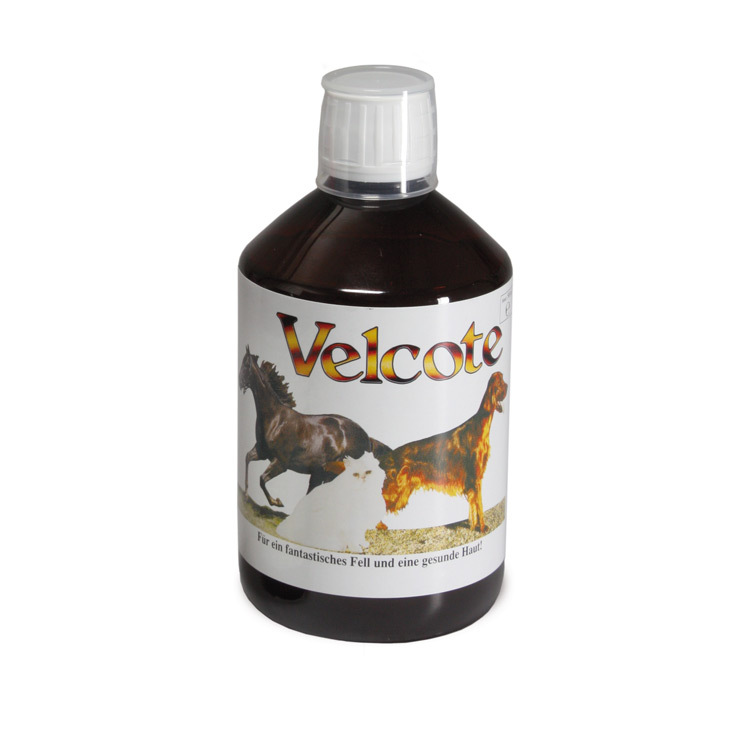 Velcote is a pure vegetable oil in which African nut oil and wheat germ oil and linseed oil are combined. 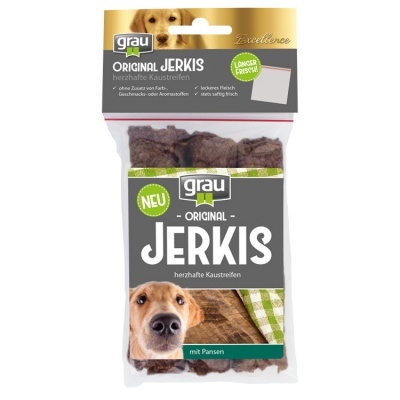 It is especially suitable for dogs with shorter fur. body tissues and each organ consist of very specific cells. The skin as the largest organ of the body also consists of innumerable individual cells, as well as every hair itself. Essential, unsaturated fatty acids are part of every cell envelope. 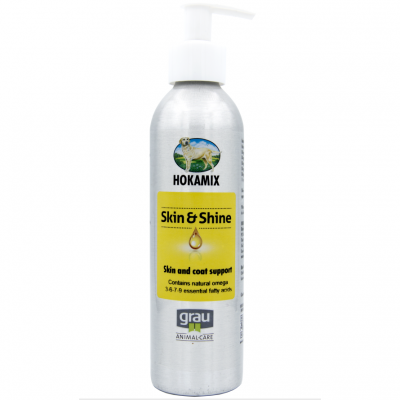 If these fatty acids are absent, the tissue is not intact and skin problems such as dandruff, eczema, brittle hair or too loose skin, which easily and constantly falls out are the result. One distinguishes between essential (essential) non-essential (can be produced by the body itself) and unsaturated (for the organism more valuable) saturated fatty acids. Because some fatty acids are essential, they must be fed to the body through the diet. Simple addition of a pure oil such as sunflower, olive, lawn or night candle oil is not useful, because here only one of the fatty acid species is present and the required ratio of 5-10 omega-6: 1 omega-3 fatty acids becomes Not taken into account. If, on the other hand, different oils are combined in one product, the ratio of the fatty acids can be influenced and optimized. If you add this mixture of food daily, you quickly reach the desired goal, to heal the skin tissue, eliminate dandruff and effectively counteract permanent hair loss. 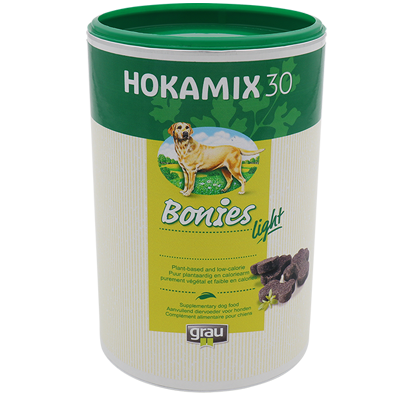 The recommended feeding time of Velcote (the period in which the desired Results should normally be reached) is up to 2 months. After only a few days, the first positive results of the feeding should be seen. 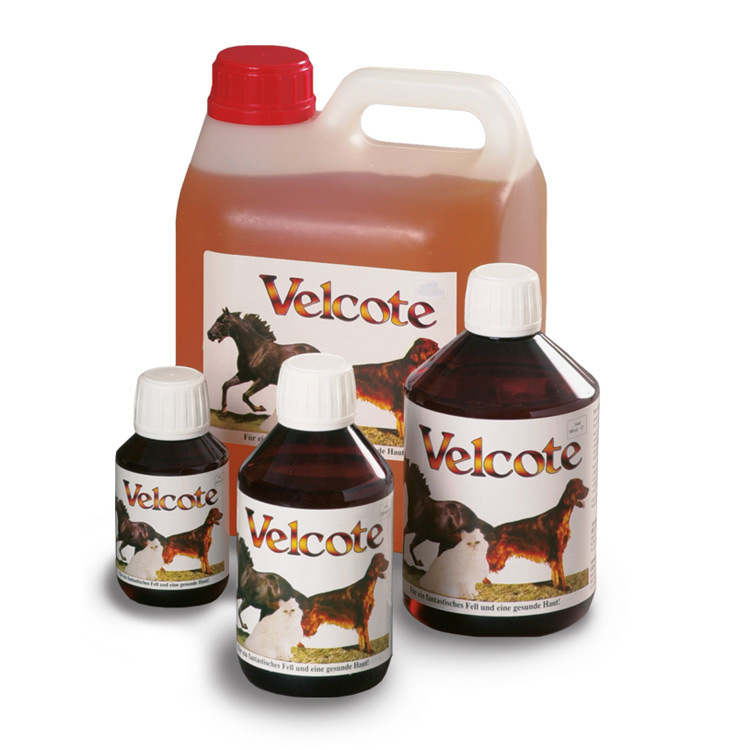 When used daily, Velcote keeps the coat and skin in optimal condition both in winter and in summer. 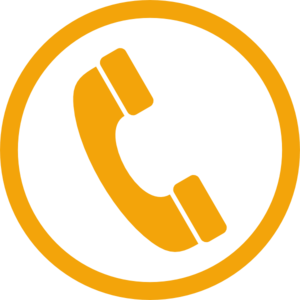 Was really impressed with the service I received from this company.Delivered exactly when they said it would be. Have just started using Velcote. Will post review in a few weeks. Thanks for great service. Hi Libby , Depending on the condition of the coat you start with ,You can see a difference in as little as 7-10 days ,Let us know how you get on.